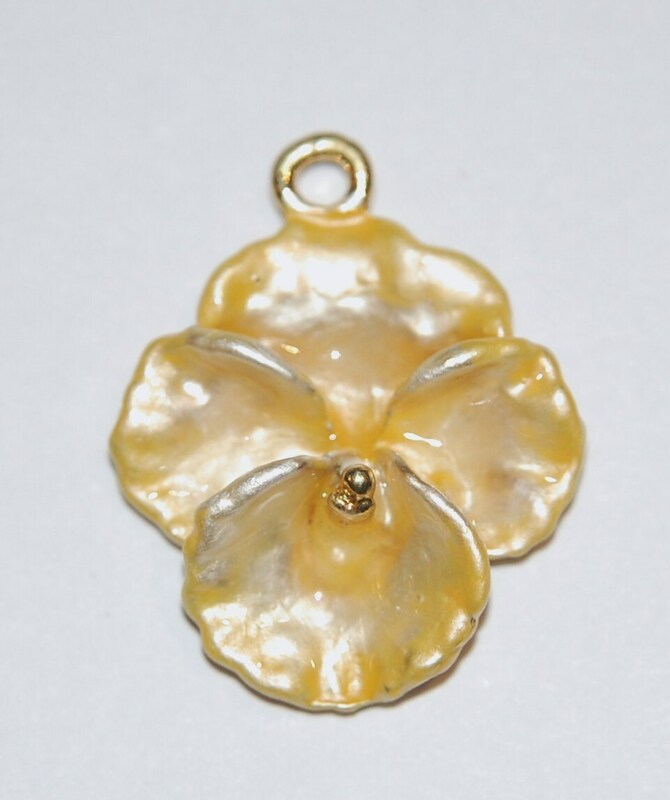 This is a vintage enameled flower pendant. 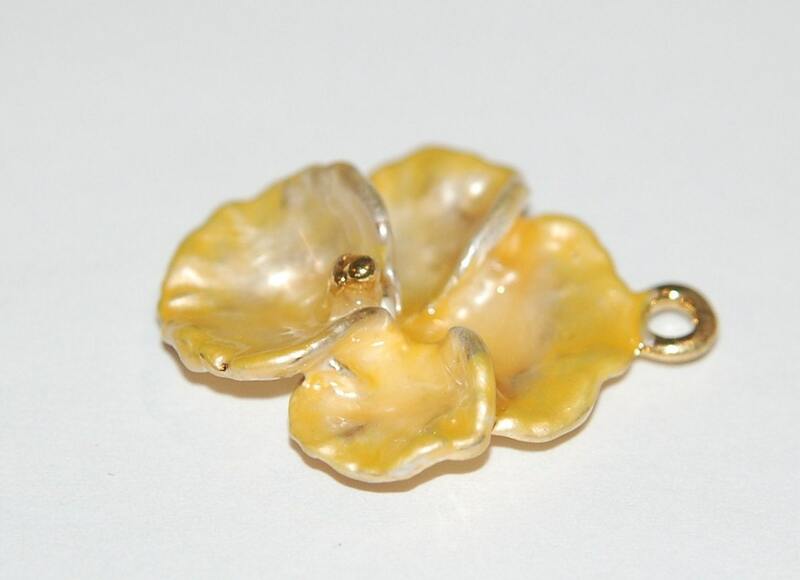 This is 3D with raised petals and gold tipped center stamens. The edges of the petals are detailed in yellow. This measures 29mm long with the loop X 23mm wide. You will receive one piece. I am listing these in other beautiful colors. Excellent ! ship quick always. Thanks. Love them so much, thank you!!! Fast delivery, too!